Enjoy these private transfers to and from Miami Dade to the Kennedy Space Museum. You will be picked up from your hotel in Miami Dade and head towards the Kennedy Space Museum to enjoy this 10 hour tour. Meet your guide at your hotel or cruise port in Miami Dade, and then head toward the Kennedy Space Center to enjoy a full-day experience. This full-day tour takes you to the amazing Space Center complex and includes admission to both the Center and the Hall of Fame. You might even be greeted by an astronaut upon your arrival (subject to every visit). 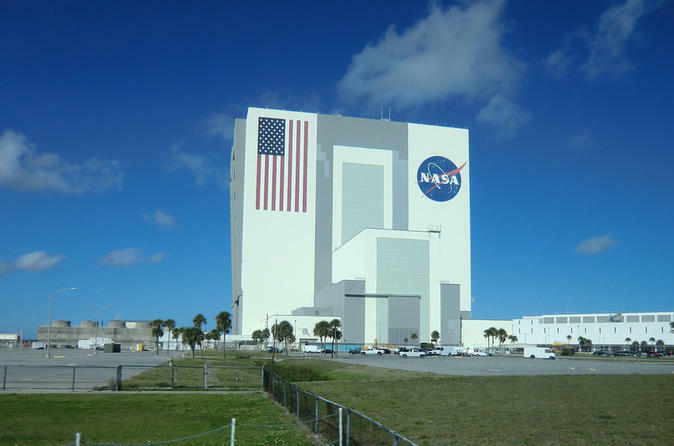 The visitor complex at NASA’s Kennedy Space Center in Cape Canaveral, Florida was founded in 1967 and sees more than 1.5 million visitors every year. Interestingly, the facility has been completely financially independent since 1995, meaning it receives no government funding. The complex is also home to the Apollo/Saturn V Center, whose centerpiece is a restored Saturn V launch vehicle, and the U.S. Astronaut Hall of Fame, which is focused on the accumulation and display of personal astronaut artifacts. Once you tour is finished, your private chauffeur will take you back to your hotel or the cruise port in Miami Dade. The total duration of this experience is 10 hours from pickup to drop-off.